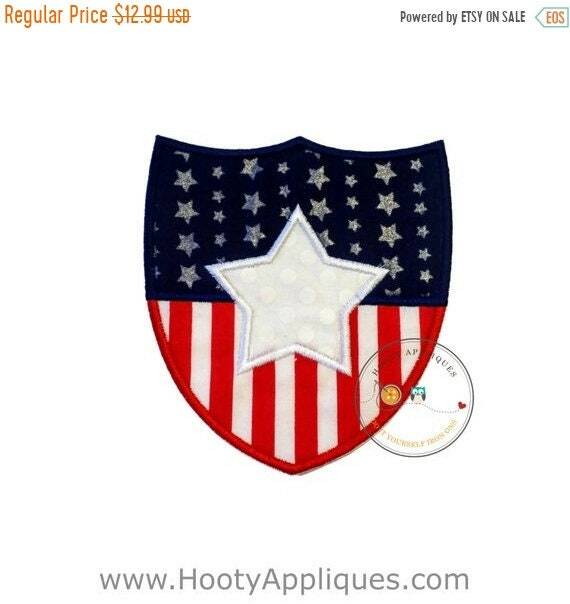 Patriotic red white and blue shield iron on applique. 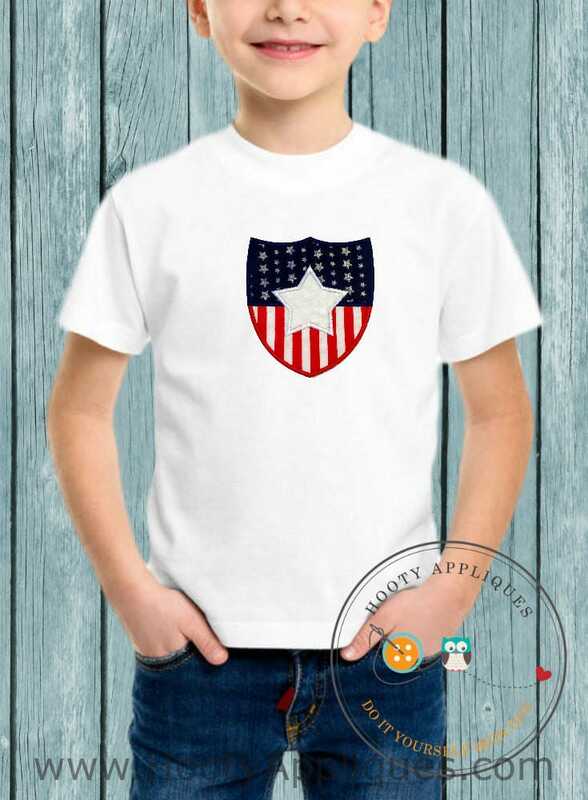 Great patch for a quick 4th of July shirt to celebrate America's independence. •	Measures 4.75 inches tall and 5.25 inches wide.